Adult Shave Ice on special! Ice sculpture that we will be using as an ice luge. There will be fire tiki torches, a fire show, flaming cocktails, shave ice slushy cocktails and slushy shots, bikini clad ladies... & more! w/ our Late Night DJ from 10p-2a! 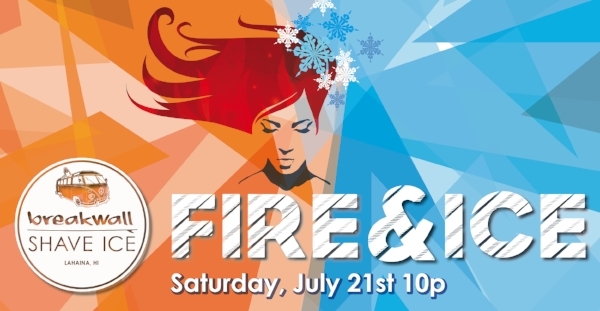 The Best Shave Ice along with the Best Bar Down the Hatch hosting the best parties, join us for Fire & Ice Saturday, July 21st starting @10p!